TULA, October 6. /TASS/. The upgraded Pantsir-SM combined surface-to-air missile and anti-aircraft artillery weapon system, equipped with a multifunctional targeting system, will be able to destroy targets 40 kilometers away – twice the range of the current configuration, the first deputy CEO, chief designer of the Instrument Design Bureau KBP, in Tula (an affiliate of Rostec), Alexander Khomyakov, told the media. “The newly-developed multi-functional targeting system incorporating an active phased array radar doubles Pantsir’s effective range,” Khomyakov said. 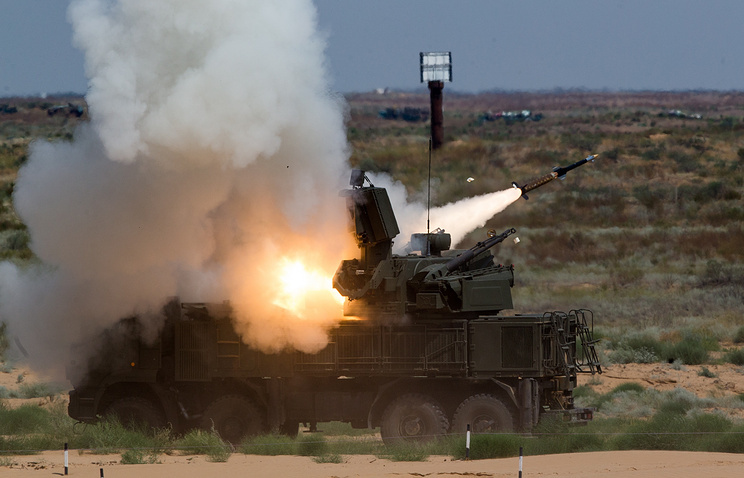 Last August the Russian Defense Ministry said that Pantsir-SM would go operational “very soon.” According to earlier reports, the new system will be armed with a high-speed missile noticeably surpassing the current equivalents. There have been reports work is in progress on Pantsir’s naval and Arctic configurations. Russia could use its brand new Pantsir-S1 (SA-22 Greyhound) and S-400 Triumf (SA-21 Growler) anti-aircraft systems deployed to Syria to uncover secrets of the most advanced weapons in the US arsenal, including the F-22 fifth generation fighter, Major Jahara ‘Franky’ Matisek of the US Air Force believes. The US pilot thinks that Russian leaders are not expecting Daesh, also known as ISIL, or NATO to mount an air attack on the Russian forces. “It’s far more likely that they hope to use the SA-22’s sophisticated antennae to sniff out and capture various electromagnetic emissions from US and coalition aircraft,” he noted. Russia’s cutting-edge S-400 anti-aircraft and anti-missile system, as well as the S-300F Fort (SA-N-6 Grumble) air defense system outfitted on the Moskva guided missile cruiser could also be used for this purpose. 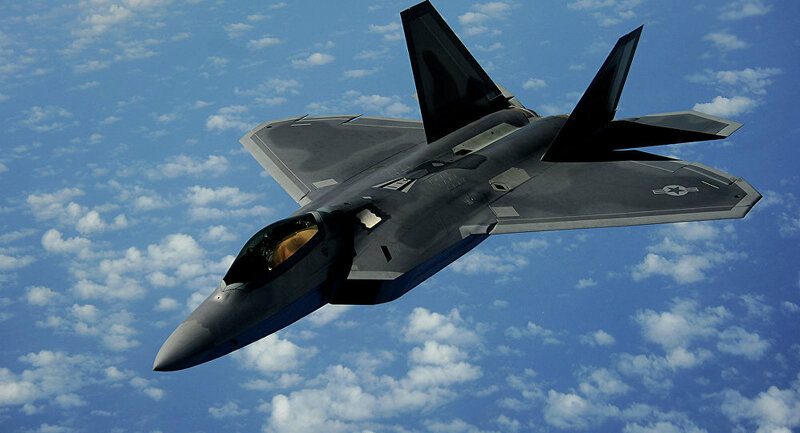 The Lockheed Martin F-22 Raptor, which made its combat debut in Syria in 2014, could be of particular interest to the Russians. The data obtained from monitoring the F-22 flying combat missions could be used to “[improve] tracking algorithms, air defense capabilities, and [enhance] the understanding of coalition weapons that are engaging in close air support and precision air strikes,” Matisek asserted.The US, according to the US pilot, should reconsider using advanced weapons in its campaign to eliminate Daesh. Keeping F-22 characteristics a secret should take priority over other considerations. It’s not only about the stealth air superiority fighter, the US should refrain from using any advanced avionics. Otherwise, he maintains, Moscow will not miss a chance to observe, collect and adjust its own weapons and strategies accordingly. “The A-10 is the sort of aircraft best suited for this type of operating environment, primarily for its incredible firepower and its low-end technology and avionics on-board,” Matisek asserted.